For Jack Smith, the journey has taken place on a long and winding road filled with bumps and potholes. So far, he has been able to guide General Motors (GM) around the obstacles, taking it from near financial ruin in 1992 to a more efficiently run operation in 2002. Before the widely publicized management and board shakeup at GM in 1992, few people outside the automobile industry had heard of Smith. Since then, his face has graced the front pages of newspapers and magazine covers nationwide. In January of 1994, he was even seated beside First Lady Hillary Rodham Clinton (1947-) as President Bill Clinton (1946-) delivered the annual State of the Union address. "At General Motors, we have made many unprecedented and controversial changes since 1992, when we stared financial Armageddon in the eye. However, despite the financial turnaround and all the other progress, we are still not where we need to be on the journey." John F. Smith Jr., known as Jack, was born on April 6, 1938, the second of John and Eleanor Sullivan Smith's four children. The Smiths had high expectations for their children, and disciplined them firmly. Perhaps they had to since Jack, sisters Mary and Sally, and younger brother Michael waged a near constant battle of sibling rivalry. The family lived in a middle-class neighborhood in Worcester, Massachusetts, where Eleanor Sullivan's large Irish family was active in city politics. The Sullivans were well represented on the city's police force, and Eleanor's brother, Charles "Jeff" Sullivan, was mayor of Worcester in the late 1940s. He later served as the lieutenant governor of Massachusetts. Jack Smith often accompanied his uncle on whistle-stop train tours, passing out handbills and attending campaign-related events. Smith learned the concept of teamwork from his father, John, and paternal uncles. John Smith, a quiet, patient man, was director of the city's public health department, and co-owner with his two brothers of Smithfield Famous Ice Cream, a chain of eight parlors in the area. Jack Jr. learned the principles of business at the ice cream parlors, pitching in to make ice cream and helping to run the various stores. As an adult, Smith kept a replica of one of Smithfield's delivery trucks in his office. Jack Smith attended Blessed Sacrament Grammar School through the eighth grade, then went to St. John Prep School, an elite private high school dedicated exclusively to education. Between his studies and working after school, he had little time for sports and extracurricular activities. After graduating from high school, Smith attended the University of Massachusetts, where he received his bachelor's degree in business administration in 1960. He then went on to Boston University to pursue an advanced business degree. Smith spent most of his GM career outside Detroit, Michigan. He joined GM in 1961 as a payroll auditor at the Fisher Body plant in Framingham, Massachusetts. Around that time he married Marie Holloway, his high-school sweetheart, and commuted to Boston University to complete his master's of business administration (MBA), which he received in 1965. Five years later Smith moved to the GM treasurer's office, and by 1974 he had worked his way up to assistant treasurer. 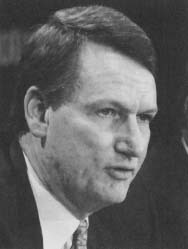 Smith was transferred to Detroit in 1976, when he was promoted to assistant comptroller; four years later, he became comptroller. G. Richard Wagoner jr., or Rick Wagoner, as his associates know him, is definitely more than a coach on the sidelines. As chief executive officer (CEO) of General Motors (GM), the third largest company in the world in 2002, he is always in the game, whether he is acting as a coach, player, manager, or cheerleader. He took the helm of GM as it moved out of the 1990s, a decade of turbulence, when the company was in danger of financial collapse. Wagoner was born on February 9, 1953, in Wilmington, Delaware, but grew up in Richmond, Virginia. He entered North Carolina's Duke University in 1971, where he played forward on the basketball team from 1971 to 1 972. Although Wagoner did not believe he had what it took to play college or professional basketball, he became a lifelong fan of the game, especially rooting for the Duke Blue Devils. After graduating with his bachelor's degree in economics in 1975, Wagoner immediately entered Harvard University's business program, graduating in 1977. After Wagoner earned his master's of business administration (MBA), he was hired by the New York treasurer's office of General Motors, where he worked as an analyst and was soon noticed for doing an exceptional job. Beginning in 1981, he spent some time in Brazil as treasurer of GM do Brasil. After a brief return to the United States, Wagoner spent a year as a vice president and finance manager at GM Canada in 1987. Remaining in Canada, he spent two years as director of strategic business planning for Chevrolet-Pontiac-GM of the Canada group. During this time, Wagoner learned every aspect of the automotive business, although he remained primarily a financial expert. 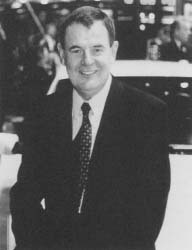 Wagoner was promoted to vice president in charge of finance of GM Europe in 1989 and was also named to GM's board of directors. Although financial concerns remained at the core of his duties, he also showed ability to soothe tensions between various factions in the company. Wagoner smoothed over ruffled feathers among British, German, and Swiss units, and got them to work together, instead of being at odds. In 1991, Wagoner returned to South America when he was named president of GM do Brasil. There, he focused on global purchasing, implemented cost-cutting programs, and encouraged production to focus on more modern models of GM cars. Wagoner accomplished so much that he was one of only two top executives to get bonuses that year. In the early 1990s, Wagoner came back to the United States. Although he was only thirty-nine years old, he was named chief financial officer (CFO) of GM in 1992. In 1994, Wagoner was promoted again, to president of GM's North American operations. This made him second in command at GM. The company faced numerous problems: the division was losing money, market share was down, and GM made less per car than every other major automotive manufacturer. Wagoner went on a cost-cutting spree. He also reinvented how GM conducted business. Under his command, North American operations broke even. In 1998, Wagoner was named president and chief operating officer (COO) of the newly created GM Automotive Operations. This combined the North American operations with GM operations around the world. Wagoner worked to streamline the company and enact more cost savings so it could respond better to world markets. He also insisted that manufacturing techniques be changed and updated. Wagoner had a plan to slowly update every aspect of GM. He earned his highest promotion in 2000 when he was named president and CEO of GM, the youngest person to hold this position since the company was founded. In 1982, Smith was named director of worldwide product planning, his first GM job that allowed him to showcase his abilities beyond number crunching. Smith took on the ambitious task of negotiating a joint venture between General Motors and Japan's Toyota Motor Corporation. In 1984, the deal was closed and New United Motors Manufacturing Inc. was formed. The factory was co-owned and operated by GM and Toyota, and was based in Fremont, California. During negotiations, Smith visited several Toyota plants in Japan. He became convinced that Toyota's production methods were GM's ticket to the future. Smith was promoted to president of GM of Canada in 1984, and in 1986 became chief of GM's passenger car division in Europe. The overseas move helped contribute to Jack and Marie Holloway Smith's divorce. The marriage's fate was sealed when Smith accepted the job as GM's second-ranking executive in Europe, one of the most difficult assignments at GM at the time. The couple divorced in 1986. Smith benefited both professionally and personally during his years in Europe. While there, he met Lydia Sigrist, a Swiss secretary for GM who was also divorced and raising a teenage daughter. The attraction was instant, but the two agreed they could not date as long as both of them worked for the same company. Sigrist left GM and took on the task of transforming the auto executive. She encouraged Smith to lose forty pounds, took him hiking in the mountains, and helped him trade in his rumpled dressing habits for more stylish suits and ties. The couple married in August 1988, a few weeks after Smith was transferred back to Detroit as executive vice president for international operations. Two years later, Smith was named vice chairman of GM with responsibility for international operations. Meanwhile, some members of the GM board of directors, led by John Smale, an attorney and retired Procter & Gamble Company (see entry) CEO, were growing increasingly unhappy with GM's management team under CEO Robert Stempel (1933-) and president Lloyd Reuss. Becoming more impatient with GM's mounting losses in the United States, Canada, and Mexico, they began demanding answers to questions, such as why the cost-cutting measures that helped turn around GM Europe could not be applied to North America. In April of 1992, the directors demoted Reuss and other top GM executives, and named Smith president and chief operating officer (COO). His appointed task was to save GM's ailing North American operations, which lost an estimated $11.4 billion in the previous two years. He became president and CEO of GM on November 2, 1992, after former chairman and CEO Robert Stempel resigned. Smith's promotion surprised some, even though he had a strong track record. He was known inside GM as the low-key, but capable executive who turned the company's struggling European operations into the company's crown jewel. In 2000, Smith was replaced as CEO, but remained chairman of the board of directors. He was heralded as the man who might be able to turn the manufacturing giant into a leaner and more profitable company. His goal in the twenty-first century was to regain some of the market share GM lost to Ford, DaimlerChrysler AG (see entry), Toyota, and even Honda, in the 1980s and 1990s. Madsen, Alan. The Deal Maker: How William C. Durant Made General Motors. New York: John Wiley & Sons, 1999. Maynard, Micheline. Collision Course: Inside the Battle for General Motors. New York: Birch Lane Press, 1995. Nader, Ralph. Unsafe at Any Speed. 1965. Reprint, New York: Knightsbridge Publishing Company, 1991. Sloan, Alfred P. My Years with General Motors. New York: Doubleday, 1996. Brooke, Lindsay. "The New Playmaker." Automotive Industries (February 2001): p. 26. "The Future Direction of General Motors." Automotive Manufacturing & Production (September 1998): pp. 28-34. Gashurov, Irene. "GM's Big Decision: Status Quo: Can an Insider Jumpstart the World's Largest Corporation?" Fortune (February 21, 2000): p. 100. "GM's Motor Man." The Economist (March 18, 2000): p. 69. Meredith, Robyn. "Digital Drive." Forbes (May 29, 2000): p. 128. Taylor, Alex, III. "Finally GM is Looking Good." Fortune (April 1, 2002): p. 68.
. "GM Keeps Its Game Face On." Fortune (October 15, 2001): p. 98. —. "Is Jack Smith the Man to Fix GM?" Fortune (August 3, 1998): pp. 86-91. Witzenburg, Gary. "A Diamond for the General: Big Business Gets Better as GM Reaches its 75th Anniversary." Motor Trend (December 1983): pp. 128-134. Buick. [On-line] http://www.buick.com (accessed on August 15, 2002). Chevrolet. [On-line] http://www.chevrolet.com (accessed on August 15, 2002). General Motors Corporation. [On-line] http://www.gm.com (accessed on August 15, 2002). Oldsmobile. [On-line] http://www.oldsmobile.com (accessed on August 15, 2002). Pontiac. [On-line] http://www.pontiac.com (accessed on August 15, 2002). General Motors Corporation Hallmark Cards, Inc.